Originally posted Apr 10, 2018 on Sensors Online. Poor air quality has become a global concern. No matter who we are, where we live or the state of our health, the quality of the air we breathe each day affects us. Even when we can’t see it or smell it, air pollution can still be a threat. There are many different types of air pollutants – particulate (PM2.5, PM10), greenhouse gases (CO2, CH4) and toxic gases (Volatile Organic Compounds (VOCs), CO, NOx, SOx, H2S)). Air pollution is currently tracked and recorded using government sponsored monitoring stations. While these instruments can collect a lot of good quality data, they are expensive to build and maintain, analyze a limited sample of air and often poorly positioned with low spatial coverage and do not provide any temporal information. The platform includes an Electrode structure to connect the Sensor Layer to the circuit. Alternate options for metallization are available – typically Au, Al, or Pt metallization. 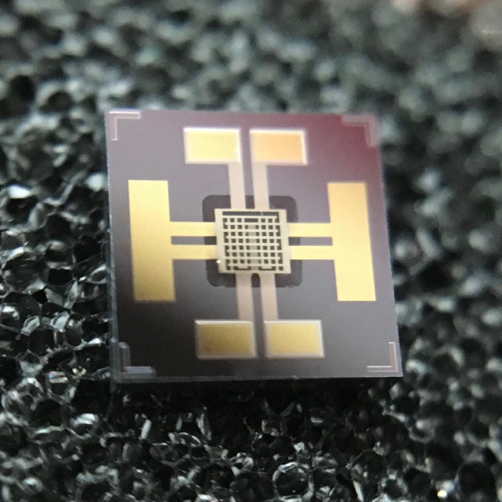 The platform also includes an integrated micro heater within the die that can be heated to optimum sensing temperatures ranging from 2000C to 4000C. Thermal isolation is accomplished through a suspended dielectric membrane with the underlying silicon removed. Micralyne’s MEMS MOS platform enables the fast development of commercial gas sensors that are low-power and extremely miniaturized for consumer and IoT markets. 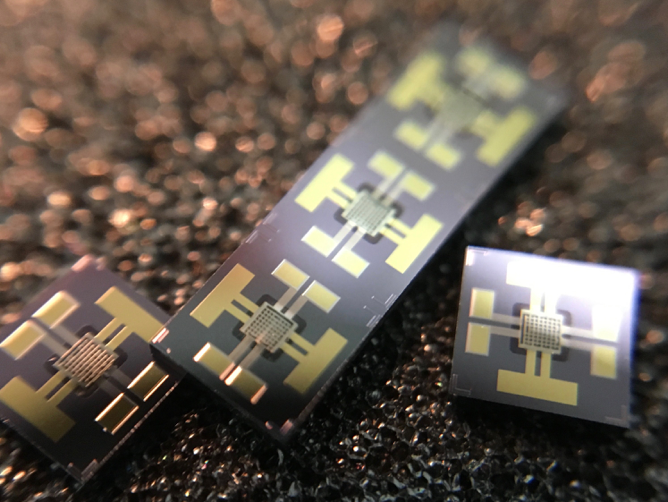 These sensors can enable quantification of localized environmental air quality which is critical for monitoring real-time air conditions at the individual level. Sensitivity of MOS devices is dependent on the selection of materials and operating parameters. These characteristics can lead to increased selectivity of gas species through the use of multiple sensor membranes integrated on a single chip. 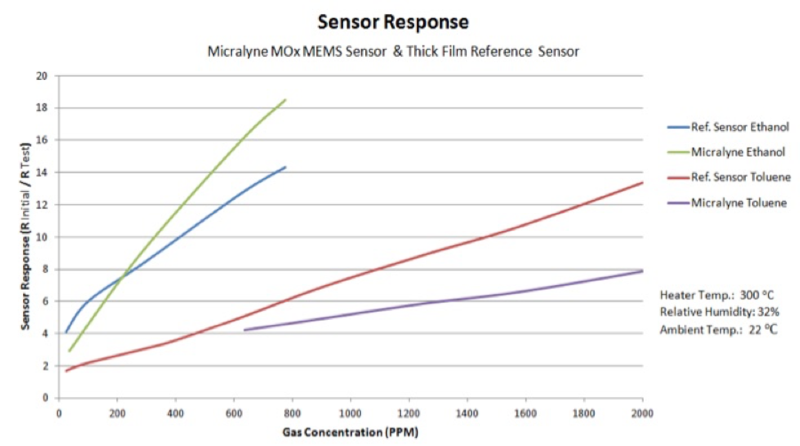 Micralyne platform offers numerous choices for gas sensor designers depending on the gas type, concentration range, and cost considerations of their application. These devices can be easily packaged in chip-scale-packages with ASICs for device control plus additional functionality such as wireless connectivity. Figure 1:MEMS MOS Gas Sensing Chip with integrated electrodes (A) and sensor film (B). Silicon Nitride and Tin Dioxide layers are transparent.